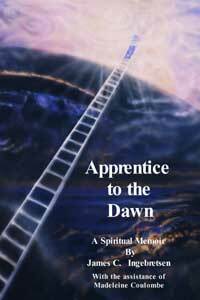 Apprentice to the Dawn is both an intimate spiritual memoir and a broad exploration of the expansion of consciousness in our society. This book exemplifies the availability of visionary experiences to all of humanity and is a call to contact the original wisdom that lies within each of us. In 1955, the life of James C. Ingebretsen, successful lawyer and businessman, took a dramatic turn when he experienced a mysterious spiritual awakening. In this book, he describes the days — both ecstatic and anxious — that followed and the revolution of consciousness that resulted. With Gerald Heard, writer and sage, as a guide, he reconciled the seemingly disparate existences of father, husband, executive and newly-initiated spiritual seeker and came to see his experience as a call to invest his activities and relationships with greater significance and awareness. For the next 44 years, Ingebretsen investigated mythology, meditation, and ritual. He founded a retreat center and sought out and formed close relationships with writers and thinkers as diverse as J. Krishnamurti, Ira Progoff, Joseph Campbell, Dane Rudhyar, and Alan Watts. Shunning the temptation to fashion himself as a new age guru, Ingebretsen sought to facilitate spiritual growth in individuals and in society. Along the way he participated in early experiments with LSD, published the first book in English on tai chi ch'uan by Wen-Shan Huang , and incorporated the Sufi Order in the U.S. with Pir Zade Vilayat Inayat Khan. Faced with the sudden loss of most of his vision in 1976, Ingebretsen took this as an opportunity to turn his energies inward. He withdrew from many of his public activities to document his apprenticeship. His journal and dream records expanded to over fifty volumes. 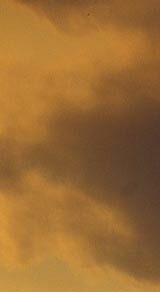 He developed "attunement" exercises which daily re-created the tremendous sense of well-being and dedication to spiritual purpose that he first experienced in 1955. He shares these personal practices and experiences not as a prescription for others but to remind readers that each life is a unique, creative expression and to encourage them to find their way of giving themselves more fully to life. As he says in this book, “I am engaged in self-unfoldment, that is the process of becoming conscious of and connected to Divinity. My story is the tale of how self-unfoldment has taken place in the life of one man, how one man has been an “apprentice to the dawn”. This book was completed before his death and published posthumously.